Steven (Chicagoland, United States) on 1 February 2018 in Cityscape & Urban and Portfolio. Great composition. Colors tell you a little cool weather. The surf seems to be pouring on this table. The composition and sky are superb. An excellent image, Steven. Beautiful light . . a very well judged shot here. Beautiful skyline on a colored sky ! great view and composition with the sailboat ! Wonderful composition light and colors ! Wow, really beautiful sky and sea ! La vue est magnifique.J'aime beaucoups les couleurs . This shot has it all : famous skyline, lovely lake foreground with a sailboat, and a super expressive sky ! A beautiful shot of the sailing and the cityscape. Arghhhh !... c'est féérique ce ciel, superbe image j'applaudis à deux mains ! Fantastic colors! Love the lake and skyline, too. such beautiful composition, clouds, tone & lighting! lovely skyline with an attractive early sunset. I hope you made it home before dark. 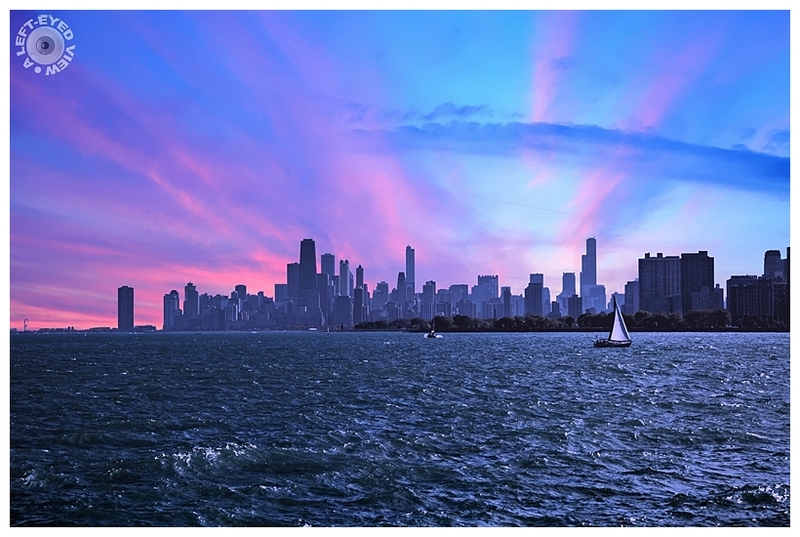 You can really be proud of this Chicago skyline, Steven, especially with that sky! Quel ciel avec des rayonnement et ce rendu sur l'eau ces building fantastique vue. wow !! This is fabulous !!!!!!!!!!!!!!!!!!!!!!!!!!!!!!!!!!!!!!!!!!!!!!!!!!!!!!!!!!!!!!!!!! With a sky like that, any photo looks beautiful, whether in Chicago, Omaha or Little Rock. This radiating sunset is truly mesmerising! Congratulations on this beautiful and well deserved Spotlight Color Steven ! On a vraiment envie de naviguer dans ces couleurs ! C'est sublime ! Wow, Steven! What beautiful colors you've captured - love your comp of the skyline! . . and Congratulations on the Color Spotlight, too - well-deserved for sure. Espectacular cielo, nubes y color. No me extraña que hayan "premiado" tu foto. Magnificent. What a beautiful scene. Wonderful composition and light. Love this. Nice shot and great compo. Have a lovely week, Steven. Congratulations on the Spotlight Steven! This is gorgeous! Very well deserved!